The con­cept of Swiss Trips is to mer­ge the advan­ta­ges of pac­ka­ge holi­days (‘book and go’) with frien­dly atmo­sphe­re of pri­va­te tours, so much unli­ke mass tourism. 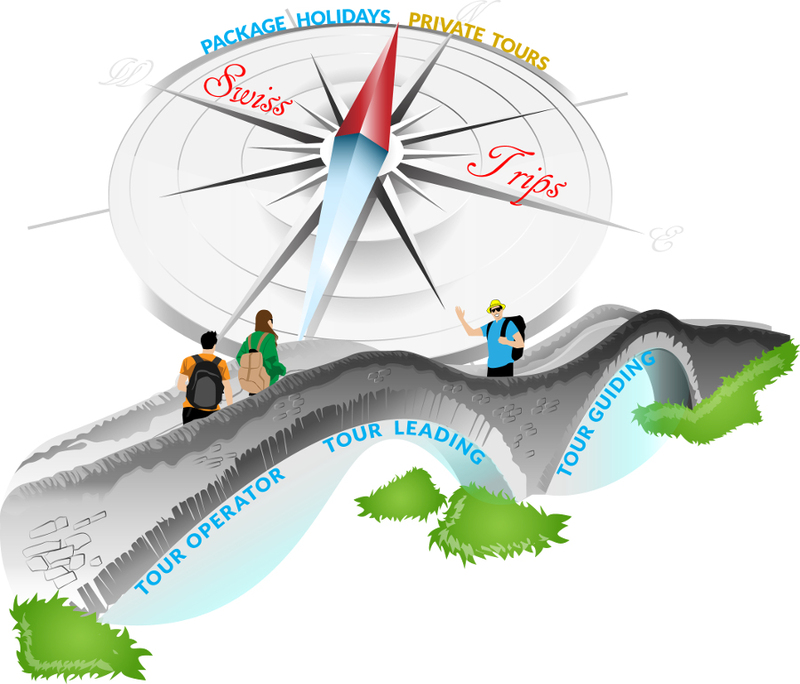 Swiss Trips is a tour ope­ra­tor that pro­vi­des both bus trans­fers and tour leading servi­ces. Ori­gi­nal, pro­prie­ta­ry iti­ne­ra­ries, logi­stic sup­port and tour leader-resi­dent. Small gro­ups of seve­ral people and mini­bus trans­fers are pre­fer­red. This makes it possi­ble to reach the pla­ces which are not acces­si­ble for big tra­vel coaches. We care­ful­ly cho­ose accom­mo­da­tion only in clas­si­fied, pri­va­te­ly-ren­ted B&B faci­li­ties, which are posi­ti­ve­ly dif­fe­rent from ano­ny­mo­us hotels. Sum­mer and ear­ly Autumn is a per­fect time to taste the helve­tic varie­ty. One week off and a fli­ght to Zurich is all it takes. We will be ple­ased to pick you up at the Zurich air­port and take you for an unfor­get­ta­ble jour­ney aro­und this fasci­na­ting, alpi­ne land, sha­ring our pas­sion for Helve­tia land with you. Only Swit­zer­land. Swit­zer­land is our cup of tea!